The ISO 14001:2015 Audit Guide and Checklist is designed as a theoretical journey through your organization following a Turtle Diagram methodology. The evidence-based questions start with management and flow through the path of a generic product through an organization. The questions have one objective – to provide you with a tool to achieve the value-added and sustainable EMS that you want. Following the 10 chapters that will be sure to inspire creative ideas for your organization, you can dive into the evidence-based questions. Part One uses the Turtle Diagram Audit approach to examine the complete system. This includes questions about the conformity of the system to the standard along with dozens of Best Practice questions to help you better evaluate the effectiveness of the system. Audit Process questions are designed to help an internal auditor gather data that can improve the audit process itself. Part Two covers questions based on individual process assessments. At SystemsThinking.Works we strongly believe that an EMS that is simply an overlay on the business is ineffective. If an Environmental Coordinator manages the environmental aspects of the business and everyone else is a bystander or barrier, this is not an effective way to achieve organizational objectives. If all of management doesn’t manage, if every department of the organization is not involved and providing their expertise and value, then there is no ownership and therefore no effective system. Therefore our checklist is designed by process to ensure that environmental aspects and impacts are identified and managed within the department where they exist. The same blend of insightful reading and system-based questions as our 9001 Guide to help add value to your EMS. A by process design ensures Environmental Aspects and Impacts are identified and managed within the organization where they actually exist. Help in planning and organizing process audits for your EMS effectively and documenting the results in a meaningful way. Value to organizations that have a desire to implement a sustainable and value-added EMS based on best practice. 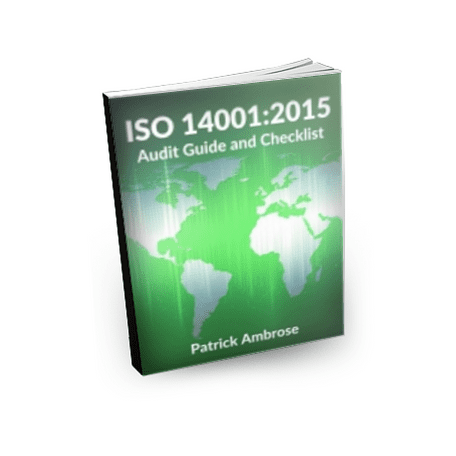 Simply select how you would like to purchase the 14001:2015 Audit Guide and Checklist – as a stand-alone item or as a bundle with the 9001:2015 Audit Guide and Checklist. Once payment is confirmed you will immediately be able to download your copy. If you have any questions about the purchase process please take a look at our FAQ page or contact us directly. We will not sell your email address and we do not spam. We offer free downloads of all future editions of the 2015 Audit Guides and we will use the email address you provide to notify you when these are available. A thorough look at the 14001 requirements. Helps generate ideas on how to implement an EMS effectively. Thank you!